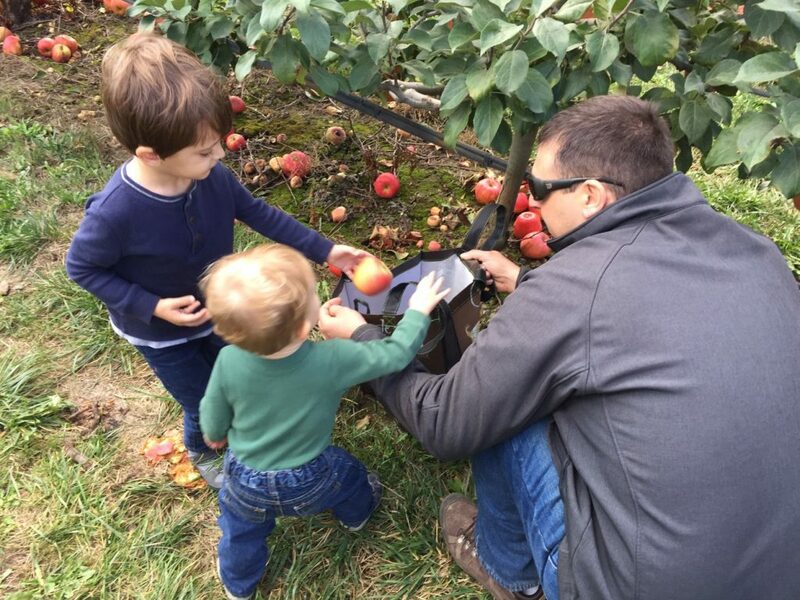 Our family loves apple picking in the fall. We found an amazing apple orchard north of Seattle that has rows and rows of apple trees, with many varieties to choose from. 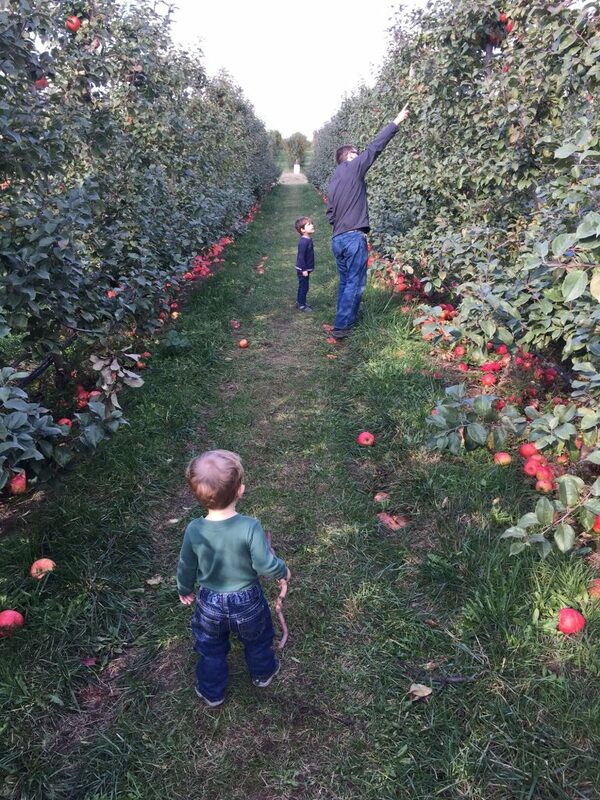 Last year was our first year going and my oldest son’s first time picking apples. While our youngest son was with us last year, this year was his first time getting to actually pick the apples and taste them. We picked a variety of apples like Fuji, Gala, Honey Crisp, as well as a local variety (Bellewood Prince?). The apples were enormous and so fresh! I love apple picking for so many reasons. 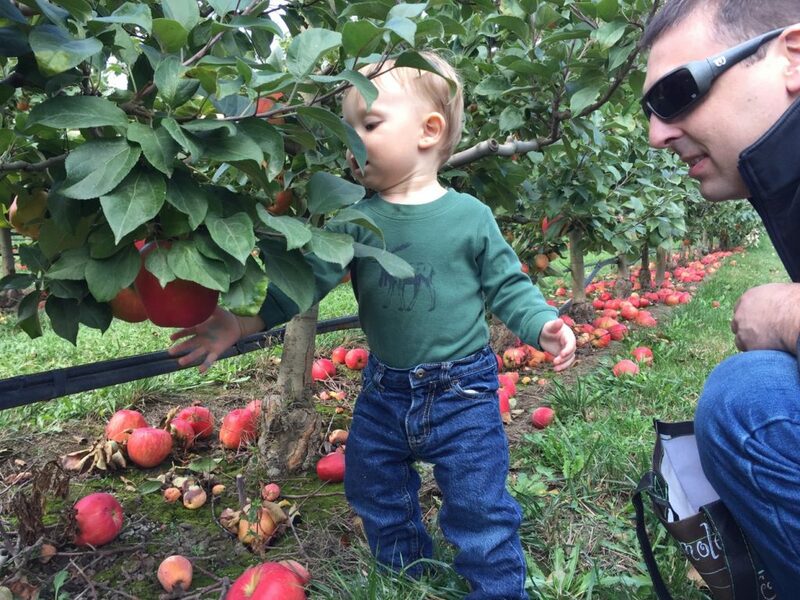 One, the kids love being outdoors, playing with the sticks, seeing the farms and the farm animals, and getting to pick the apples and taste them. Secondly, I love that they kids are learning first hand that our food comes from farms not just the grocery store. 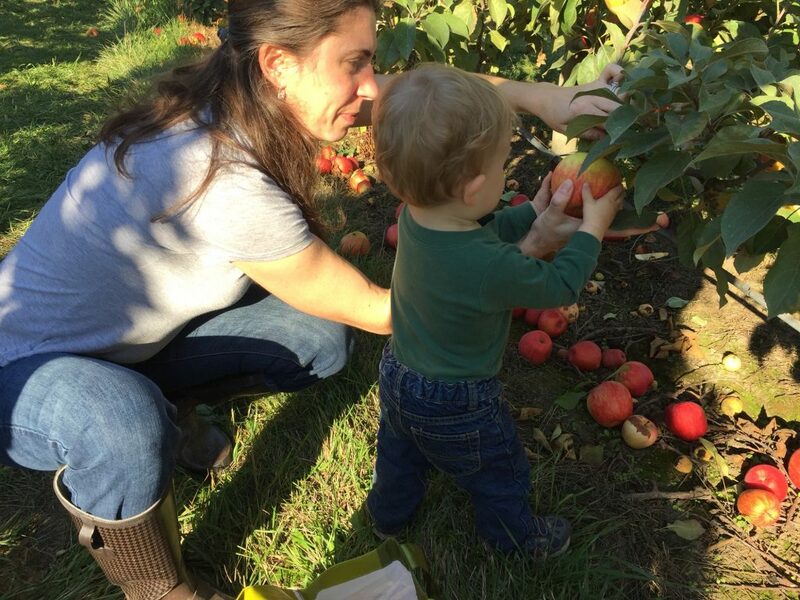 Thirdly, our family enjoys being outdoors together engaging all of our senses, getting fresh air, feeling the crispness in the air, smelling the sweet scent of apples, and seeing the bright reds and greens. Its so peaceful walking the rows of apples. Its an adventure, like going to a far away place. I am mesmerized by God’s creation and enjoy the beauty. Once home I got to baking. 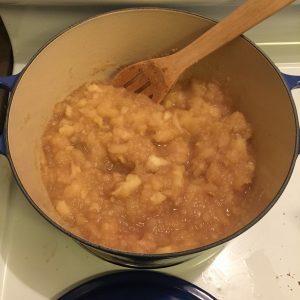 I tried my hand at homemade applesauce and it was so easy. Just peel and chop the apples, add some water and simmer. I added cinnamon but did not need to add sugar as the apples were sweet enough. Once the apples were soft I mashed them with the wooden spoon. The sauce was slightly chunky, which I prefer. I filled a few jars and then tried it out on my kids. They LOVED it! I also made a few apple pies for our family and as gifts. I prefer Dutch Apple Pie which has a crumb topping. 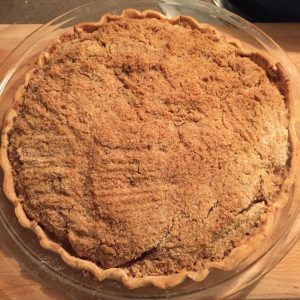 The crumb topping is simple to make, adds extra sweetness, and is a lot less crust. Again this was super simple and quick to make. The most tedious part is the peeling and cutting of the apples. I usually convince my husband to help which he is happy to do since he knows the end product is worth it. The apples from the orchard were so large that I only needed 2 and half apples per pie. 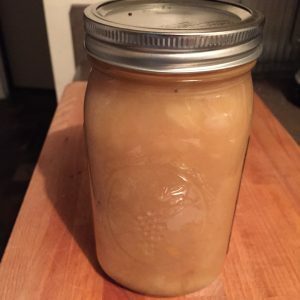 I used a variety of apples to give it a unique flavor. Super lovely. 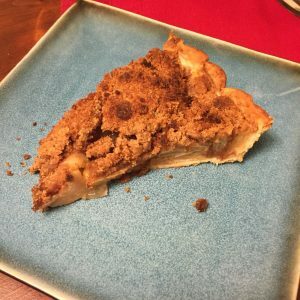 What are your favorite recipes for apples? Share in the comments!